Electrical Rewiring | Anderson Electric Corp.
What’s Wrong With My Old Two-Prong Outlets? We urge all our customers to investigate ways to update their household electrical systems. This isn’t only about making sure you’ve got enough power for all your new appliances and the increasing number of charging stations. It’s also about safety. We specialize in updating old homes with modern wiring, electrical panels, and outlets. One of the upgrades we recommend is replacing standard three-prong outlets with GFCI and AFCI outlets, which improve safety. But let’s go one step lower and take a look at two-prong outlets, which many homes in the area still have. (Two-prong is standard for homes built before 1960.) You can stick adaptors onto them so they work for three-prong plugs, but we don’t recommend this. We’ll explain why it’s best to change out those old two-prongers. Posted in Electrical | Comments Off on What’s Wrong With My Old Two-Prong Outlets? There are many old homes in New Jersey, some built in the nineteenth century. A vintage home can still be a wonderful place to live if it’s had upgrades and repairs. 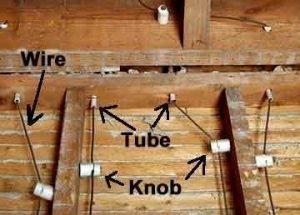 But if you live in a home built before the 1940s, you may have a type of wiring in the walls and attics called knob-and-tube wiring. This is an extremely out-of-date wiring set-up, and we strongly recommend you call us to eliminate it and replace it. 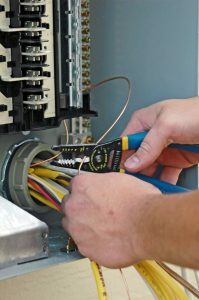 This is one of our specialties as local electricians, and we’ve helped many homes make the change to modern, safer wiring that is up to code. When Is It Necessary to Rewire a Home? There are a lot of different parts of your home that, if they ceased to work for a second, would cause major disruption to your daily life. One of those is your electrical system. 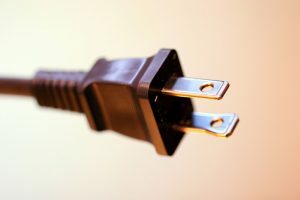 The wires that run throughout your home provide needed power to practically every appliance you use. Without them, things would be quite a bit harder for you overall. While electrical wiring can last quite a while, though, it won’t last forever. There are times when it is necessary to rewire part or all of a home’s electrical system. Read on to find out when that is necessary, and what can be done about it. Posted in Electrical | Comments Off on When Is It Necessary to Rewire a Home?